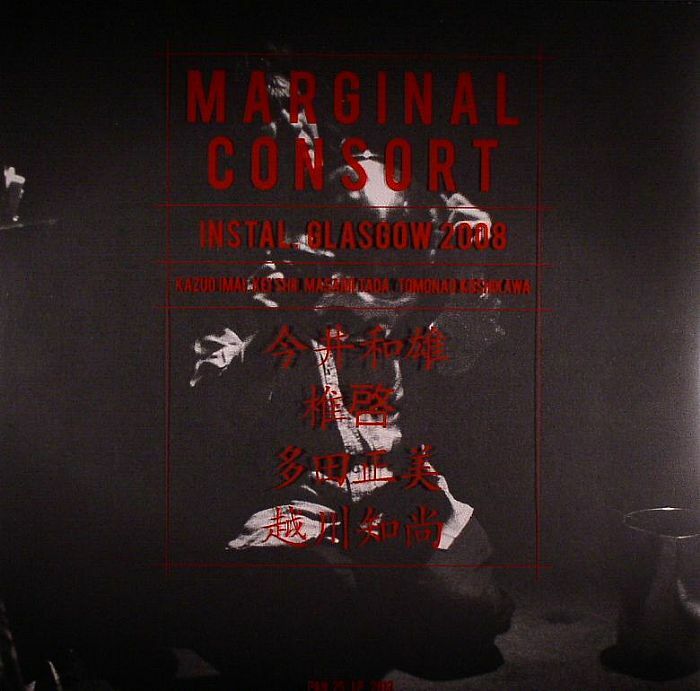 MARGINAL CONSORT Instal Glasgow 2008 vinyl at Juno Records. 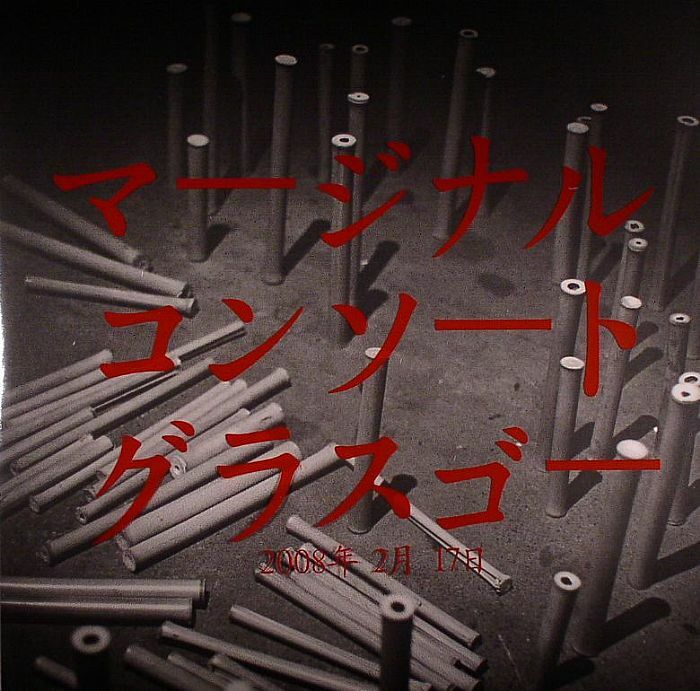 Marginal Consort are a Japanese improvisation group of sound and visual artists that formed in the late '90s, with a lineage that's traceable to the mid-70s. The group's members have made a point of meeting each year to perform one live show, which they have done annually since 1997. Recorded during the 2008 edition of Arika's INSTAL festival in Glasgow, all of the music featured on INSTAL. Glasgow 2008 comes from the one live performance, and represents undoubtedly the most ambitious release from Bill Kouligas' label so far. 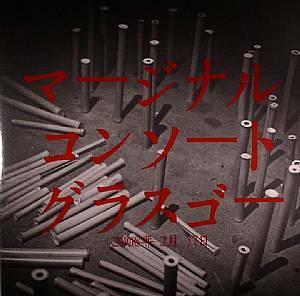 The performance supposedly incorporates, "bamboo, electronics and the contents of a local ironmonger's bin," with a performance that does not produce harmony, individual concepts and group fluidity, but coexisting time frames and intersecting rhythms. INSTAL. Glasgow 2008 comes with liner notes by Arika's Barry Esson, extended photo documentation by Bryony McIntyre, artwork by Bill Kouligas and of course has been mastered and cut by Rashad Becker at D&M.